This one is by Sammy Hall another Retro Studios artist (and Gaf member!). He is just as godly as Andrew Jones if not better. Yep, one environment designer left to become lead designer at 343 industries on Halo 4. The other (Mike Wikan) went back to his old workplace iD Software to be lead designer on Doom 4. I think a third guy left but I can't quite remember. I guess the president of the company and his american companion robot needed a place to video blog or something. Any chance they'll show something that will hype us during E3 2012? I think western studios have people moving around all the time. That's why Nintendo has always been reluctant to invest in the west. Suddenly you have a hit game and the rest of the big companies swoop in and start giving good offers to a lot of these designers/artists. Wild dream: Zelda spinoff taking place in the "era without a hero" or whatever. Make it a bit more mature in tone, open world, and with Retro's ability to feed you bits of lore without ramming it down your throat in verbose cutscenes. No Link so you can have voice acting and buck other series conventions while Aonuma makes his own "proper" Zelda. I'm pretty hopeful it happens. This is why GAF is awesome, this news should have been found out by some news site but it was found by a member on GAF. Props to Tovarisch. Uncharted was made by the whole studio. Not one person. Or just make Raven Blade, have it play like Zelda, use minimal motion controls, add voice acting and some modern cinematic flourishes, aim squarely for a T rating, use it to sell a bazillion WiiU systems, and call it a day. I'd like to see an original third person perspective game. However, we all know that if it looks too good Nintendo will just have them re-brand it as the next Zelda. oh I think I see it. You're just being you, unsurprisingly. This guy didn't even spend a full year at Naughy Dog, I think GAF is getting carried away here. It would make sense if they made something in third person since that's what these people are experienced with. Also we're not really talking about QA here are we? We're talking about a high level environment artist and a lead character designer. I don't even see his name on U3 credits (there were 12 environment artists by the way). GAF as usual overstating the impact one guy makes anyway. What makes people think that hiring this guy increase the chances that Retro is working on Zelda? I don't get it. Sure, there was that interview from the last Retro thread, but this one? I dunno. if anything, Zelda has one of the most mature tones in multimillion selling games. -Metroid Prime 2 came out November 2004. The project was around 30% complete three months before its release. I'd say the three images posted are testament to the guy's hard work, but his quote about it being a "crowning achievement" art wise makes me excited. i doubt whatever it is will see the light of day in 2012, there will more than likely be a mario game at launch, which means no metroid/pikmin before christmas and zelda just came out. My hope is for a fresh character based New IP. but i would take a new zelda game 2013 anyday. Retro have made 4/4 stella games i have faith. To be honest the real news is Nintendo are looking for hot talent from all over the industry i want to see far more of this. Most interesting hype train to jump on. 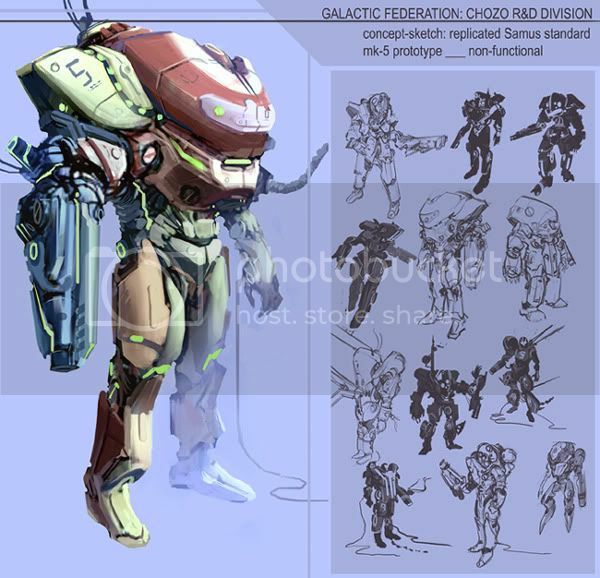 Pretty obvious that retro is getting staff for a WiiU Metroid. As you can see, they are getting level designers because one of the most important aspects of Metroid Prime was the enviroment and atmosphere and they plan to get whatever talent they can to make sure it stays that way. Darksiders' level designers and Uncharted's level designers would also make perfect sense in the context of old ruins. hopefully whatever it turns out to be sells well enough that nintendo fire sakamoto and let retro be the new "owners" of metroid. EDIT: misread the part about the darksiders' developer. Apparently it's the character designer, which is not quite a plus in my eyes. Darksiders had its moments, but for the most part the characters were all in a clichéd comic-book magic style. I don't need to see chozo statues that look like they belong in Warcraft knock-off. Andrew Jones, last I saw, left Retro and founded Massive Black, a for hire, contract based, art studio. They do all sorts of classes, seminars, etc. as well. - Metroid Prime came out in November 2002. Development started late 2000/early 2001. -Metroid Prime 2 came out in November 2004. The project was around 30% complete three months before its release. -Metroid Prime 3 came out August 2007. (transition from GC to Wii). Prime 2 with Wii controls first shown off at TGS 2005. First Prime 3 footage at E3 2006. Title originally planned for lNovember 2006 release but was delayed to August 2007. - Donkey Kong Country Returns came out November 2010. Development started in April 2008. I could totally see Retro's next game announced at this year's E3. New Metroid on Wii U PLEASE! I'm usually the first ones to throw around these accusations, but this is not neccessarily the case. A game can be more adult-oriented than the Zelda series without going all Bulletstorm. Crown? The King of Red Lions? Star Fox Command was the last made Star Fox game not Assault. Also, where do you see a budget or indication of funding. You're talking like QA is beneath those positions. A lead automation or performance tester is a valuable resource to any company. In that case something all new please, Or more Metroid, either way i'm interested. How important were these guys to the UC3 and Darksider's games? One of my co-workers brought in EVERY season of MST3K! Crunch time is going to be WAY more tolerable this year! Me too, that game was so polished but left plenty of potential for a really crazy followup. That's what I read form "crunch time"... launch title methinks? The amount of hype and details surrounding RETRO means this HAS to be big, whatever it is. First that onslaught of new staff, that one guy who handled massive data sets and that technology for large scale maps and geography, too. And now this, a guy that specialises in locations etc. and sounds real excited for it. I think GAF is getting carried away here. Game would have been perfect (imo) had it not been for shake rolling and blowing.